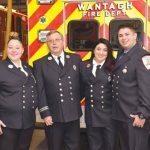 At approximately 1726 on February 15, 2018, the Wantagh Fire Department responded to a call on the Southern State Parkway near the Wantagh Parkway to assist a woman in labor after she and her husband realized that the baby would not wait until they arrived at the hospital. 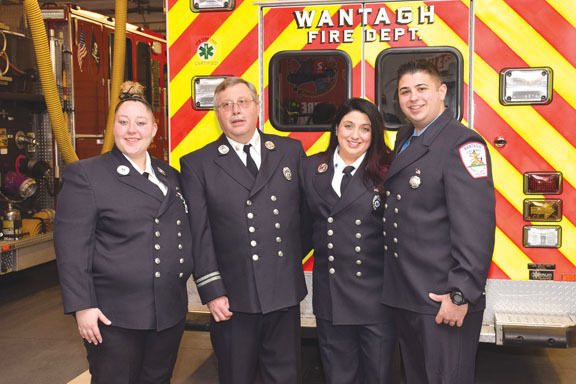 Within minutes Ambulance 6918, staffed by Lt./EMT Erica Goetz, Lt./Paramedic Samantha Datre, Firefighter/EMT-CC Sal Ferro and 6909, EMS Capt./Paramedic Steve Lincke (above) were on scene. The crew placed the mother in the ambulance and Captain Lincke assisted the mother in delivering a healthy baby boy with the help of crewmembers. Mother and child were transported to NUMC where all were reported to be in good condition. Chief of Department Joseph Gross III and First Assistant Chief Ken Kelly were also on scene. 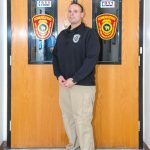 On February 27, 2018, Suffolk County Fire Rescue and Emergency Services Dispatcher Jon Hallock (left) answered a 911 call from a man who was attempting to drive his pregnant wife to NYU Winthrop Hospital in Mineola. The caller advised that his 31-year-old wife was in labor with her second child and was in their car and on the shoulder of the westbound lane of the Long Island Expressway, in the vicinity of Exit 51. Hallock quickly pinpointed the location and began to question the caller,as the man stated that the head of the baby was already crowning. Jon immediately instructed the caller on what to do. Hallock successfully coached the father in delivering the baby. Hallock proceeded telling the father how to clear the baby’s nose and mouth and advised him on how to keep the baby warm. While Jon updated responding units and continued to help the father, a Suffolk County Highway Patrol unit arrived on scene. The SCPD sergeant took over the cellphone and Hallock coached the officer on how to tie the umbilical cord prior to EMS arriving on scene. 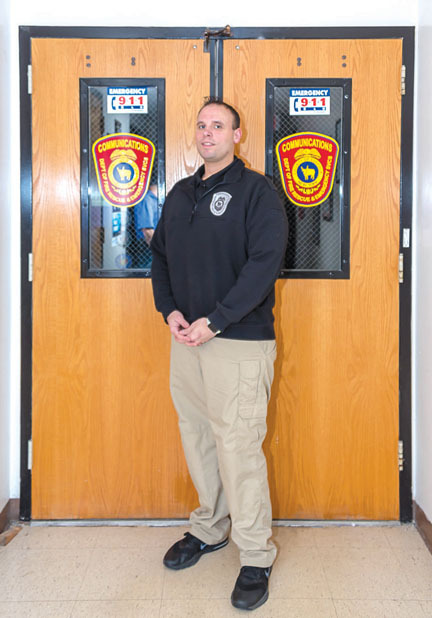 Jon stayed on the phone with the officer and continued to give instructions until Dix Hills Fire Department responders arrived on scene and took over the care of both the mother and the newborn baby girl.